This isn’t a surprise at all. I think it was the only solution available, but now at least it’s been made official. 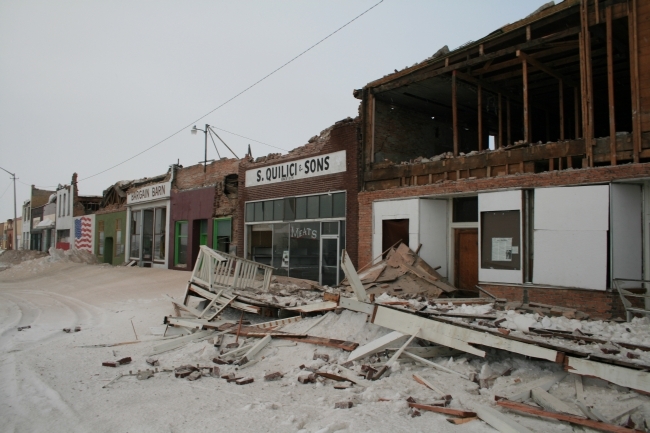 After last month’s earthquake that caused so much damage, the historic section of downtown Wells will have to be leveled. All the damaged buildings will be demolished, and I think it’s safe to assume none of them will be rebuilt. 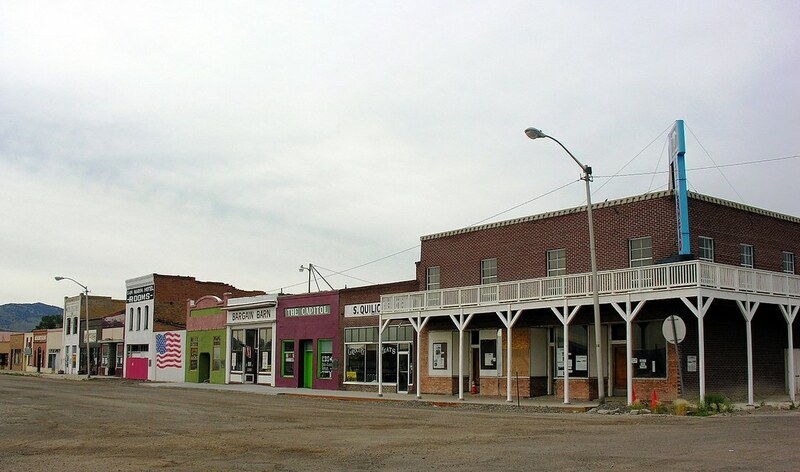 I found this picture on Flickr, of how downtown looked just recently. This picture fills in a big gap that had been empty. We knew what downtown looked like after the quake, and what it looked like in the 1940s, but there wasn’t much record of it just before the quake. That’s why it’s great to find this. I also found another gallery of post-earthquake photos. National Guard Complex Being Demolished Old National Guard Complex to be Demolished Downtown Wells Earthquake in Wells Bodine's Is Demolished Garage Demolished – Is the Building Next?